Does the ps4 only try to download a patch when you start the game up or whenever the ps4 is on? I would disable the Internet and use the ps3 for youtube but it's more convenient on ps4. You could also turn off the Internet on the PS4 but I find it to be quite a hassle. 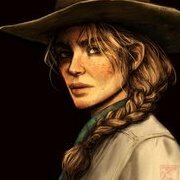 PSA: If your thinking about doing a 1.00 playthrough, I'd advise you to go back to the latest patch just before starting the mission "Red Dead Redemption" and until you finish the mission "Motherhood" If you go through with the unpatched playthrough, John's holster and pistol belt will be permanently unavailable in your inventory wardrobe. However, if you do this method, they'll be permanently available in patched copies and the holster will be in your wardrobe in the unpatched copy, BUT John's pistol belt will be invisible until you play on a patched copy. Also you have to save an outfit with John's pistol belt on it because it becomes invisible in the wardrobe section unless your playing on a patched copy. 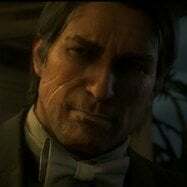 Apparently if you load the autosave that is created immediately after replaying Angelo Bronte a Man of Honor, you will be Arthur from the replay in chapter 4 right before the party. I was testing this because I read you could save with cheats active. Well yes and no. The game will autosave after the mission replay, but you can't save again, and as stated, it sets you as level 1 Arthur from the mission replay. I did that method, and it allowed me to manually save afterwards. Problem is, it screws the game up a little bit. I can’t replay the Angelo Bronte mission on that save anymore and my stats are all f*cked up. @Darealbandicoot it's time to make comparisons to the LOD, pop-in and draw distance between 1.00 and 1.06, we need pictures and videos of the various transitions. This is going to take a while, but should be doable. If there was a weather cheat this would be a whole lot easier to do and explain. I think you can fix this by playing certain missions, most of them should have fixed time of day/weather, so you can make a more fair and accurate comparison. You have to find the right missions but I think it's doable. I cannot believe they have downgraded the graphics again. I will NEVER update this game, damn. The lighting is so essential to the way this game looks for me. The downgrades are finally starting to get noticed on reddit and people are mad. Inb4 R* finds a way to prevent playing V1.0 now. Has anyone managed to figure out how to play this on 1.00 on Xbox X yet? Any specific spot I should test pop in you suggest? I've been playing the Disc version 1.0 for a while on the One X. And I'm never going to update. I also believe that the X version is most affected by the downgrades. The 1.0 version looks fantastic. how do you downgrade? if i get the disc version, and i install it offline will i be able to play it? and will it be 1.00?? I had the digital version installed, so all i did was delete (keep your saved data & dlc) go offline in the settings option on xbox then start installing the retail version...keep in mind that when going back online it will require the update again, so i just stay offline. It doesn’t work for everyone though, you may end up with the infinite loading screen like I did. So just bear in mind!! The following post is regarding the alledged graphical downgrades to RDR2, relative to the unpatched 1.00 version of the game, and the 1.02 launch version of the game. This has nothing to do with downgrades/fixes in regards to mechanics, glitches, exploits, clothing differences, or anything else. It is strictly regarding the subject of graphical downgrades. I havent posted on this forum in nearly 4 years. I am, however, a massive fan of GTA, RDR, and RockstarGames as a whole. Red Dead Redemption 2 is now my favorite game of all time - finally surpassing GTA IV - and exceeding my sky high expectations I had built up during the grueling 2 year wait from announcement to release. Naturally, as the avid fan that I am, I have become obsessed with the game since launch. In the last month, I have been absolutely enamored in this world as I work my way towards 100% completion. I’ve always been someone who loathes the concept of game developers downgrading their games (especially post-launch), and in the case of Rockstar, I’m doubly paranoid about the idea. As someone who recently converted their gaming library to digital, and who also enjoys playing Online, it’s now a little difficult for me to retain access to the original unpatched versions of games. It was only recently (earlier this month to be exact), that I had become curious about these alledged downgrades, and wanted to see what 1.00 had to offer; but before doing that I needed to see if the game had been downgraded any since 1.02. After spending hours (and I mean hours) of my time watching old recorded footage I had of 1.02, and comparing it to 1.05 in direct frame-by-frame scenes, I came to the conclusion that no downgrade had taken place between these versions. I went back and played missions using the same time of day & weather, and switched back and forth between 1.02 footage and 1.05 gameplay in several scenes/locations to do this. The only visual difference - noticeable to me anyway - between 1.02 and 1.05 is the lanterns in front of Worth’s general store are turned off at night (this change was introduced in patch 1.03). I had stumbled across this post sometime earlier this month, displaying a CLEAR downgrade in ambient occlusion from the unpatched 1.00 version. This obviously bothered me - but not too much - since knowing that the visuals I saw on day one (1.02) matched the current visuals of the game at the time (1.05) after my lengthy personal investigation. The funny thing about that post, and the thread its within for that matter, is that these downgrades already took place before patch 1.03, yet it was only once 1.03 released that people began to notice. Once again, I went back and watched 1.02 footage of my own (and YouTube) to confirm this. The ambient occlusion had already been downgraded on 1.02. It’s obvious as soon as you step foot in a general store (ambient occlusion missing on all of the intricate products on the shelf). Like I said earlier, the only major visual change between 1.02 and 1.03 is the Worth’s General Store lights were turned off. However, I was now morbidly curious about the extent of the downgrade from 1.00, so I went and bought a disc copy of RDR2. I needed to see what all I was missing out on in terms of graphics. Was 1.02 & onwards really that downgraded from the pure, untouched magic of 1.00? Well, after a few days playing unpatched, the answer quickly became clear. Outside of the obvious downgrade to Ambient Occlusion, and a very slight reduction in sharpness on PS4 Pro, there is no difference in graphics between unpatched and the patched versions. I performed the same techniques I used previously to compare 1.00 to my footage/screenshots of patched versions. Here are the only visual differences I noticed after playing 1.00 for a few days, and comparing it to the patched versions (which are all the same visually). Thats really it. I was expecting more and I’m honestly happy it’s not as serious as I worried it would be. Other than the points I described above - in terms of purely GRAPHICAL differences between 1.00 and patched versions - the graphics are identical. Textures, lighting, effects, character models, etc, all appear identical. Those who are claim they are seeing downgrades every time a new patch comes out are suffering from a placebo. This post I’m quoting here is a post I made back in February - in this thread. The reason I’m quoting it now, is to clear up some rather large misconceptions that have arisen in the last few days. Everyone is up in arms about the downgrade to AO, people posting those “1.00 vs 1.03” comparison images on Twitter and claiming Rockstar downgraded the graphics a month after launch - However, there is some misinformation with those images. The downgrade was already done in patch 1.02, which is the version the game launched with. 1.02 was available weeks prior to the game’s launch, and is the version that most reviews and walkthroughs on YouTube were captured on. I did hours of research last month to figure this out. Red Dead Redemption 2 launched with the downgraded Ambient Occlusion - but for some reason - nobody noticed until a month after release when someone here decided to compare 1.03 with the unpatched 1.00. You see the general store comparisons? How in the 1.00 version, every little item has a distinct AO shadow underneath it? Go back and watch ANY footage of General stores from when the game launched, you will see that the AO on these items matches the pictures labeled 1.03. The breadrolls laying on the plate have no shadows, that’s a dead giveaway. Watch a walkthrough from October 26th of the mission “Polite Society, Valentine Style” - it’s where you go into Valentine for the first time and into Worth’s general store with Uncle. You WILL notice that the AO had already been downgraded at launch. I just wanted to clear this up so nobody thinks Rockstar sneakily downgraded the game 1 month after launch, because they didn’t. The game had already been downgraded with 1.02, and most of the top reviewers played THAT version of the game, AND used footage of it for their review, because once again, 1.02 was released weeks prior to the game even launching. 1.00 (unpatched) is the ONLY version sporting the better AO, and it’s highly likely most of you never played that version. Thats all I needed to say, thank you. Yep. O. Z doesn't have an American copy though. Yes. how I did it, I have already explained in a post. will it work even tho i have xbox gold? Yes and no. The world is less alive and looks like dog crap in v1.06 and they ruined a certain character by making their clothes Red Dead Online exclusive and botching the clothes in single player.